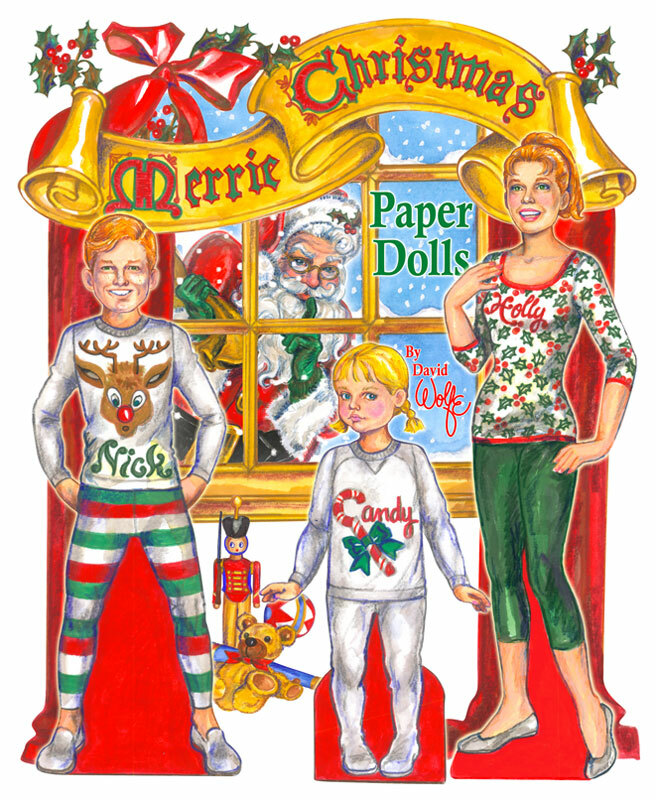 Celebrate the holidays with this happy paper doll family! 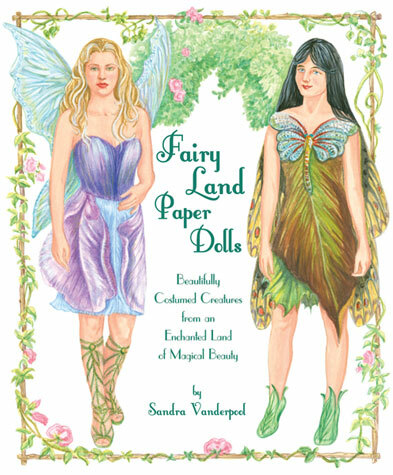 Artist David Wolfe turns back the clock with a vintage style paper doll book that captures the magic of Christmas. 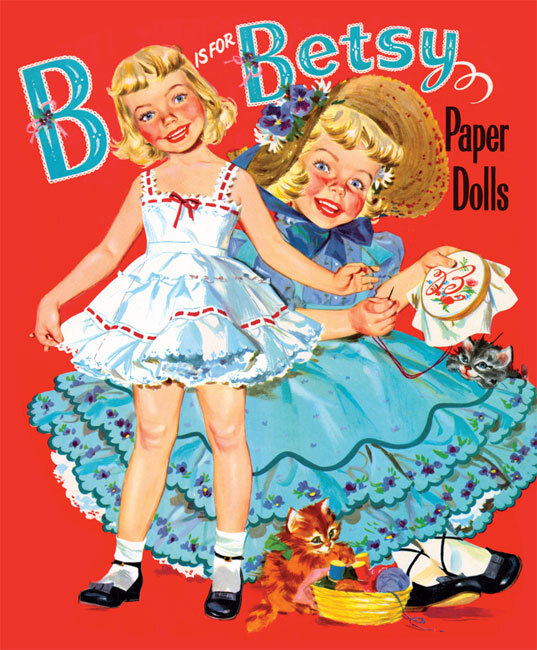 Five dolls bring the fictitious-but-fun Kringle family to life, ready to cut-out and dress-up. Dad is Kris, of course. Mom is Noelle and then there’s teen-age Holly, followed by Nick and sweet little Candy. 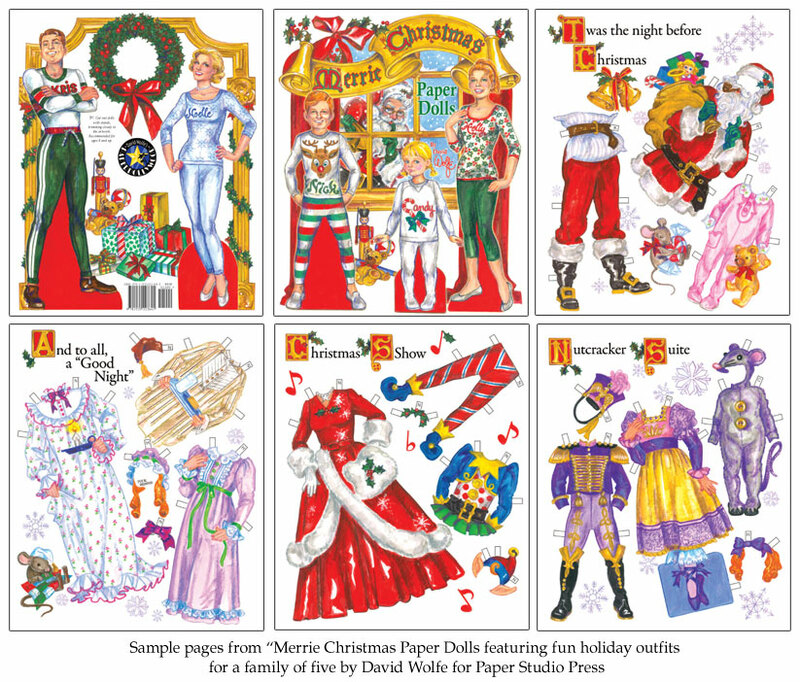 The clothes in the special book celebrate the fun of the season. The Kringles go ice skating, caroling (dressed in Victorian costumes), put on a Christmas Show and imagine themselves dancing in “The Nutcracker Suite” ballet. And when the night before Christmas comes, dad dresses as Santa before they settle down for their long winter’s nap in old-style sleepwear. 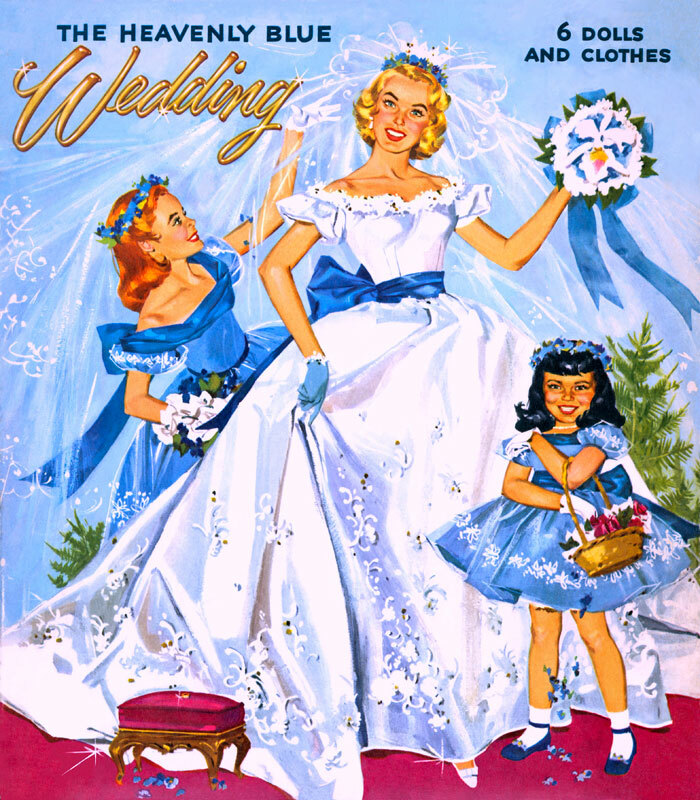 This charming book is a nostalgic sleigh ride down a snow-covered Memory Lane. A great gift for every collector on your list and for everyone who loves an old-fashioned Christmas… and that includes you!